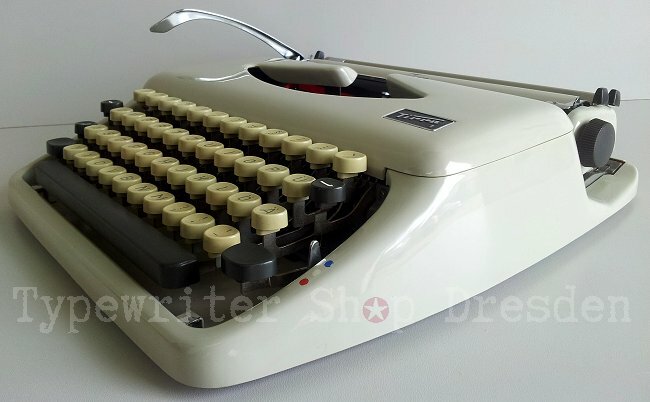 Very nice snow white machine in mint condition. 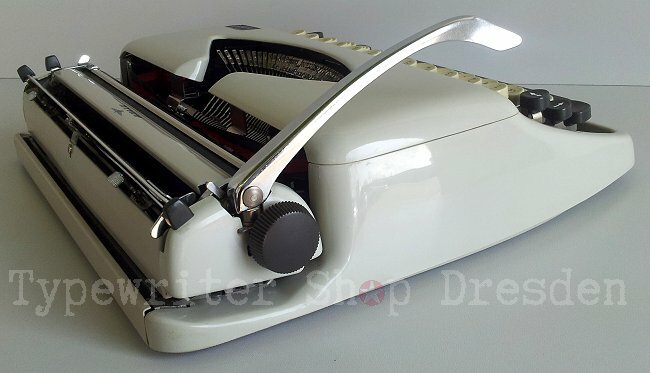 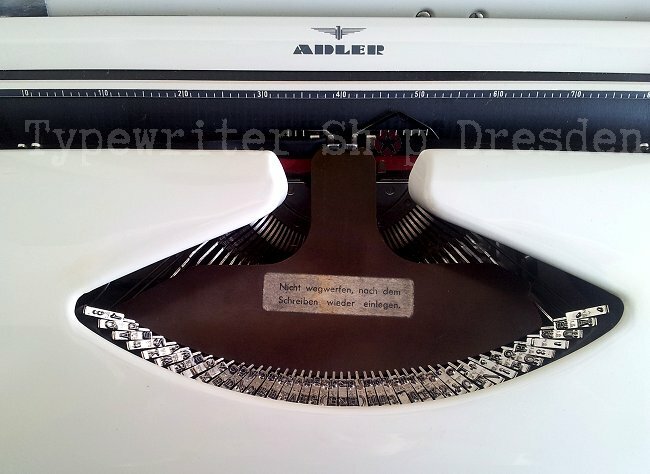 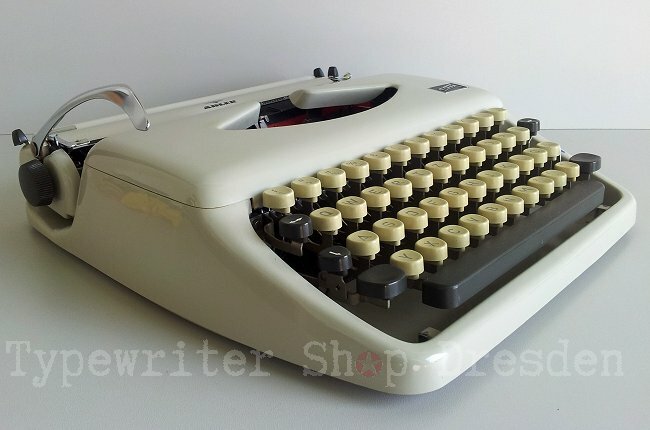 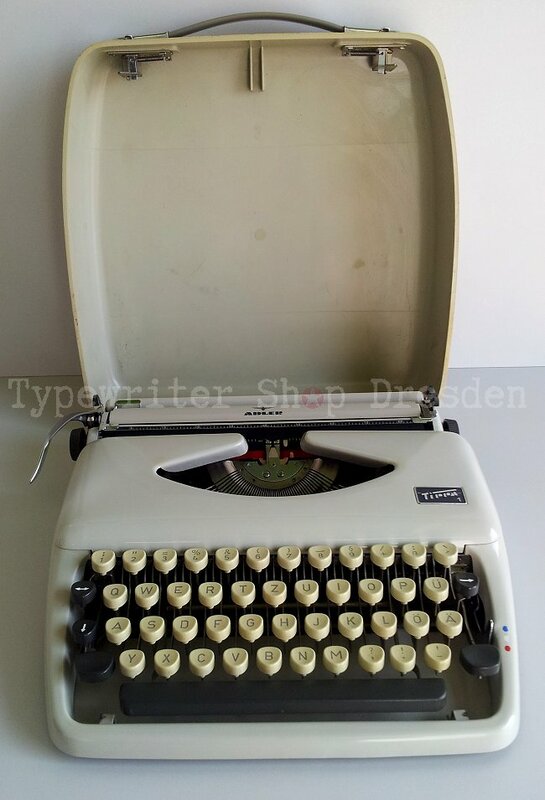 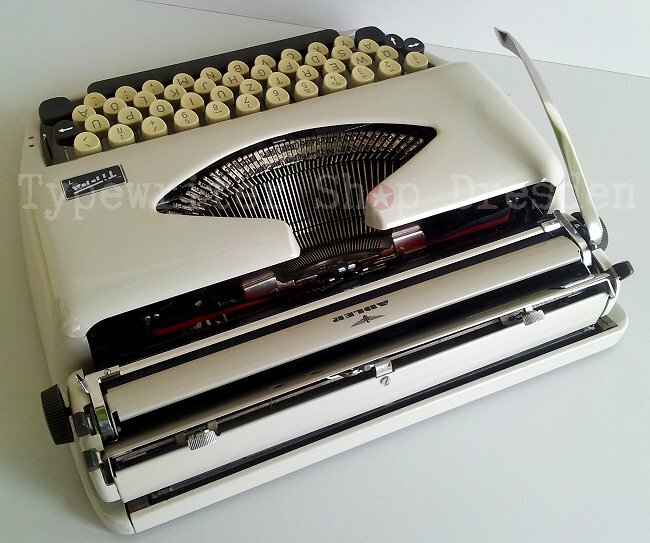 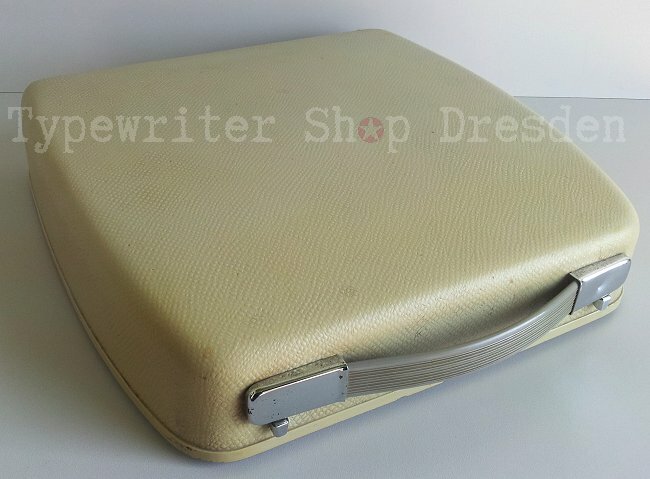 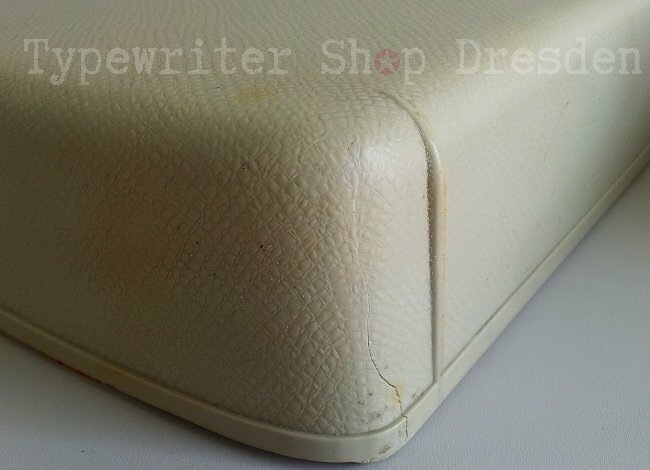 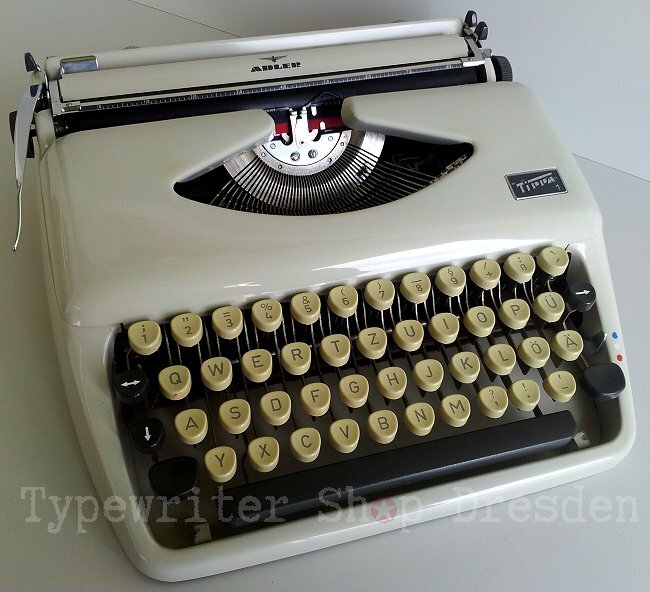 The typewriter comes in the original hartop case and the original letter protector. 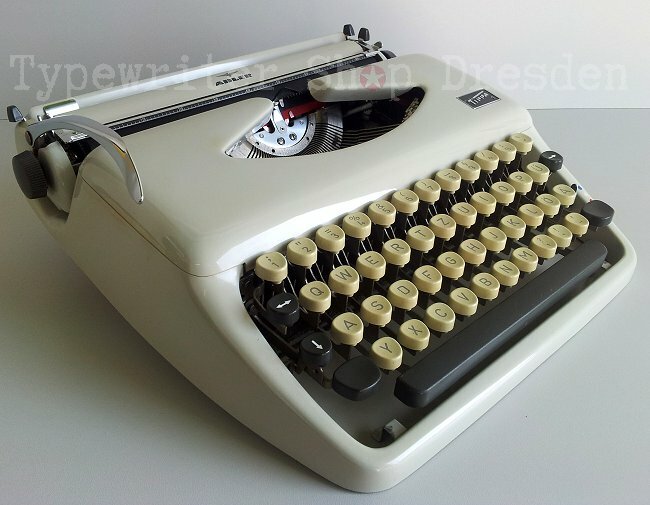 The right corner of the case whrenched a little bit, but it is still functionable.